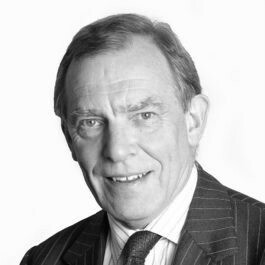 Described by Chambers UK as “a great jury advocate who continues to fight the fight in the North” and “praised for his wisdom and authority”, and by Legal 500 as “a superb advocate who takes serious fraud instructions nationally and who has a good name for commercial crime”, Paul is a criminal specialist who appears for the prosecution and the defence in all types of serious crime. He has wide experience of all types of serious crime, including murder, manslaughter, fraud, money laundering, drugs importation etc, both at first instance and in the Court of Appeal (Criminal Division). With a reputation as a formidable cross-examiner and jury advocate he is as much at home in a gangland murder case as he is in dealing with experts in a shaken baby case or in the intricacies of investment fraud. He has appeared in many murder cases involving issues of joint enterprise, causation, diminished responsibility, provocation, shaken baby syndrome and battered wife syndrome. In the Jules Lowe case he conducted the successful defence of sleepwalking (automatism) in what is now the leading case in medico/legal literature. He has experience of several so-called “honour killings” in the Asian community. He has dealt with cases of gross negligence manslaughter involving firearms, drugs and motor vehicles. His fraud practice includes investment and bank trading fraud, carousel fraud and electoral fraud. He has been involved in many high profile cases including his defence of the Stone Roses (with quotations from his mitigation in “Q” magazine February 2016), his defence of “Doctor” Gene Morrison (featured in the Sunday Times and BBC programme “Crime Scene Conman”), and his prosecution of Rahan Arshad, the taxi driver who murdered his wife and three children before fleeing to Thailand (featured in the BBC programme “Honour Kills”). The murder of Sophie Lancaster was the subject of a 2015 BBC2 programme “Black Roses – The Killing of Sophie Lancaster”. He is recognised for the heavyweight work he attracts. Has a robust practice in heavyweight crime. He is regularly instructed on murder, manslaughter and money laundering cases. no stranger to high-profile work in the fraud.